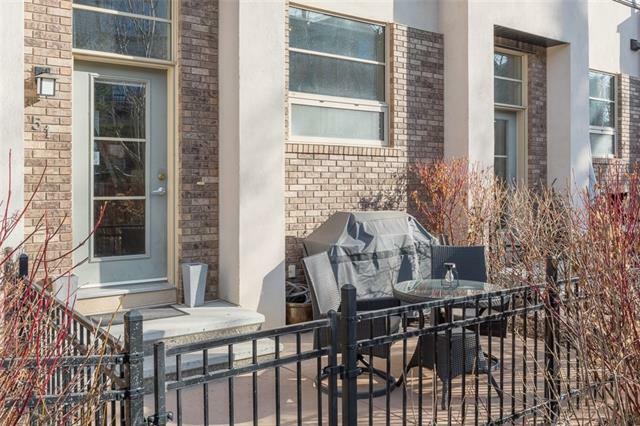 Pristine, double-master townhouse in the Mosaics of Aspen Hills. 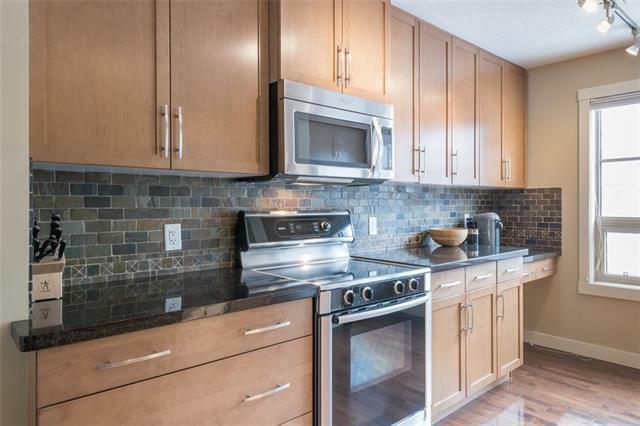 Glistening hardwood on the main and gorgeous granite surfaces throughout, this upscale unit is impeccable and ready for you to move in. 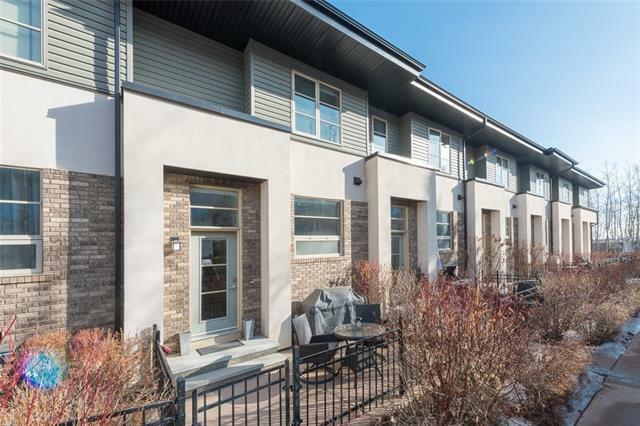 Perfectly located in the complex, youll enjoy the sunny south patio with views of trees down the lane. The kitchen features upgraded appliances including Fisher-Paykel double-drawer dishwasher and refrigerator. Expansive counterspace and storage, with additional pantry space. The spacious, open living room leaves plenty of room for a defined dining area. Upstairs, youre treated to double masters; both rooms include walk-in closets and full ensuite baths. Stacked laundry is conveniently located upstairs, perfect for keeping closets neat and tidy. 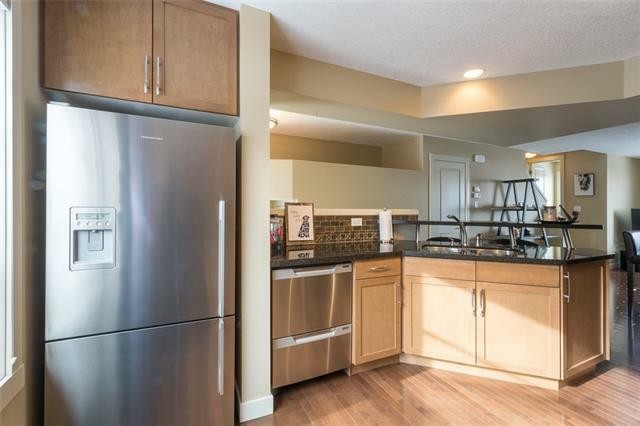 The lower level is unspoiled with all the storage youll need, adjacent the generous attached double garage. Visitor parking located just behind your unit. Walking distance to Calgary Academy and Webber Academy.